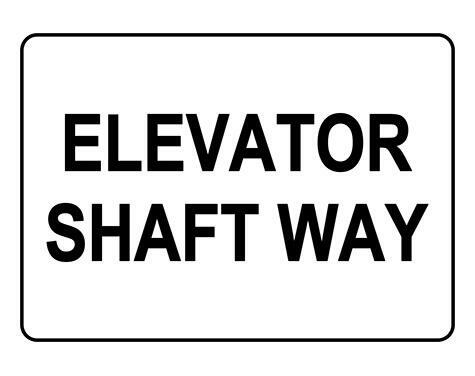 This Elevator Shaft Way Sign makes your Elevator / Escalator message clear to employees, visitors - and inspectors. Across US and Canada, millions of people ride elevators and escalators every day, most without thinking about their safety. But for business owners, a proactive approach to safety education is one good way to reduce exposure. That's why elevator signs that give fire safety directions and remind riders and maintenance employees of proper procedures are critical for any business with an elevator or escalator.